B.A./ BSc., PG Dip Psych, M. Clin. Psych, GC Business, MAPS. Amy is the Director of Nest Psychology Brisbane, a Brisbane-based psychology practice that offers counselling and support to expecting and new parents. Amy offers her clients the choice of coming to see her in her comfortable Toowong office or she will happily see clients in their homes. Parents are welcome to bring their baby to sessions. Amy enjoys supporting parents and infants during the perinatal period (conception to 12 months post-birth). For her Master of Clinical Psychology thesis she developed a program to assist new parents to transition successfully to parenthood, with positive results. For the past 5 years, she has provided specialist psychological support to individuals and families in community centres in Melbourne and in Private Practice in Brisbane. Amy also co-wrote the content for Baby Steps, a free online program to enhance the well-being of new Mums and Dads. 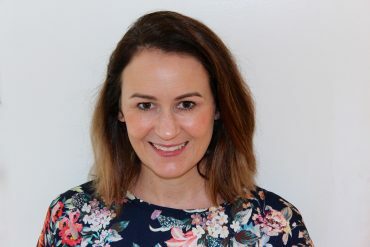 Amy’s knowledge and experience are in attachment relationships, adjustment disorders, perinatal depression and anxiety (Mums and Dads), obsessive compulsive disorder, bipolar disorder and infant/toddler/child social, behavioural and emotional development. Amy is happy to see people who are struggling to adjust to parenthood as well as those who are unwell with a mental health diagnosis. Amy likes to use a solution-focused approach to help individuals and families to readily meet their goals. She uses various therapeutic approaches, including mindfulness, cognitive-behavioural therapy, narrative therapy and attachment focused therapy. She is open-minded, genuine and easy going and has worked with families from all over the world. Amy is a Registered Circle of Security Parent Educator, and has facilitated the course to groups and to individuals. She also co-wrote and facilitated the “Parenting Your Pre-schooler” training program. Amy is also a mother to three boys, which has provided her with just as much education and self-development as the 10 years of university study! In her spare time, she likes to practice yoga and to travel. Catherine works at Nest Psychology Brisbane, a Brisbane based psychology practice that specialises in perinatal and child psychology. Catherine can see clients in the clinic at Toowong or she can visit you at home. 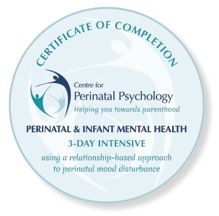 Catherine has a particular interest in providing assessment and counselling to women experiencing perinatal mood and anxiety difficulties, including depression, obsessive compulsive disorder and bipolar disorder. Catherine sees women during pregnancy and in the postnatal period. Catherine enjoys counselling first time mothers and helping them to cope with the huge transition of having a baby whilst supporting mothers to be mindful and to have compassion for themselves during this challenging time. Catherine has been working with this population for 4 years, including at a private practice in Sydney. Catherine has over 10 years of experience working with parents having attachment difficulties with their infant or toddler; providing parenting support and strategies in settling and sleep. She also has expertise in managing emotional and behavioural issues, including separation anxiety, attention and oppositional behaviour issues in toddlers and children. Catherine has worked in major hospitals and child community and mental health facilities. Catherine has run numerous Parent-Child Interaction Therapy groups and Triple P Parenting Programs. Catherine is empathic, and has a non-judgmental and relaxed presence. Catherine utilises various therapeutic modalities including cognitive behaviour therapy, acceptance and commitment therapy (mindfulness) and attachment focused therapy. Catherine has two young girls under 6 years old. Catherine enjoys yoga, practicing mindfulness and reading. Erin works at Nest Psychology Brisbane, a psychology practice specialising in perinatal, child and family psychology. Erin is passionate about both supporting new parents in the perinatal period, and early intervention. Erin’s focus is on helping parents feel emotionally well, supported, and able to develop secure attachments with their children. Erin has previously worked in community, hospital and private settings, having an emphasis on supporting parents with difficulties around pregnancy, challenging births, and the adjustment to parenthood. Erin enjoys working with mothers during their pregnancy, and supporting both mothers and fathers manage the transition of becoming a parent. Erin has experience working with parents to support attachment and behavioural difficulties in infants and toddlers. Erin is a flexible therapist, using multiple approaches to best support the clients’ individual needs. 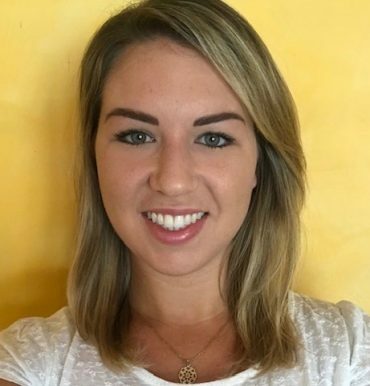 Erin is a strong advocate for using attachment- based and systems- based models, assisting parents to understand and meet the emotional needs of babies and young children to nurture secure relationships. Erin has a sound knowledge of community support services in the Queensland region including breast-feeding, sleeping and assessment specialists. Erin can help parents to link in with their available support systems. Often, connecting with these networks alongside supporting mental well -being, achieves lasting positive outcomes. Erin is trained in the Circle of Security Parenting program, post-natal well -being, and Triple P.
Erin is an open minded and compassionate therapist, holding a special interest in supporting parents from the LGBTIQ community. Outside of work, Erin enjoys travelling and learning about other cultures, getting outdoors, and music.